If you have been to one of my events and I made something on stage/in a workshop and promised that you could download it the week after, this is where you will find it. Of course you can also download any of these and have fun with them (non-commercial use only) if you were not at the event. You can print this on A3 (or A4) and make it into a little booklet. In the last step, you’ll have to find the cover and the back and arrange the whole thing into a booklet shape. It looks fiddly but it’s easy, just look for the front and back and close it up like a book. 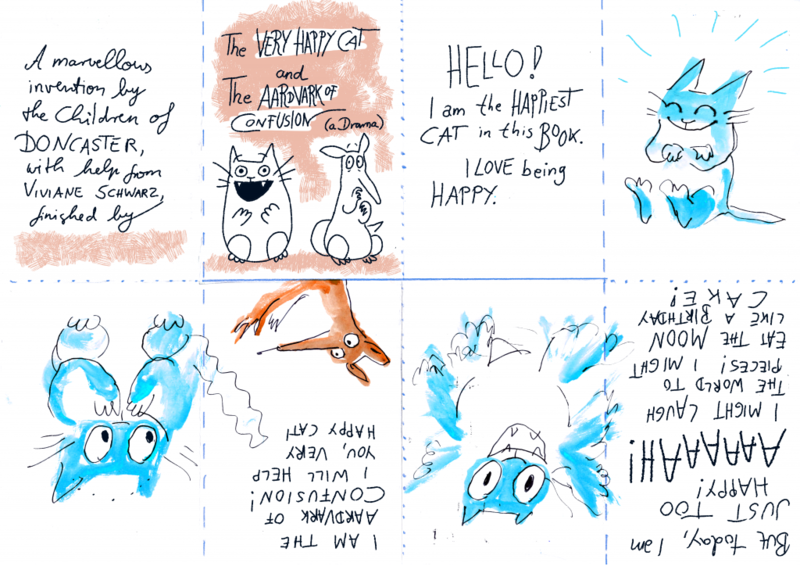 The last scene of the story is drawn by you, yes YOU, and it goes on the back of the sheet – it will be hidden inside the book until you unfold it. There’s lots of space for a big thing to happen! 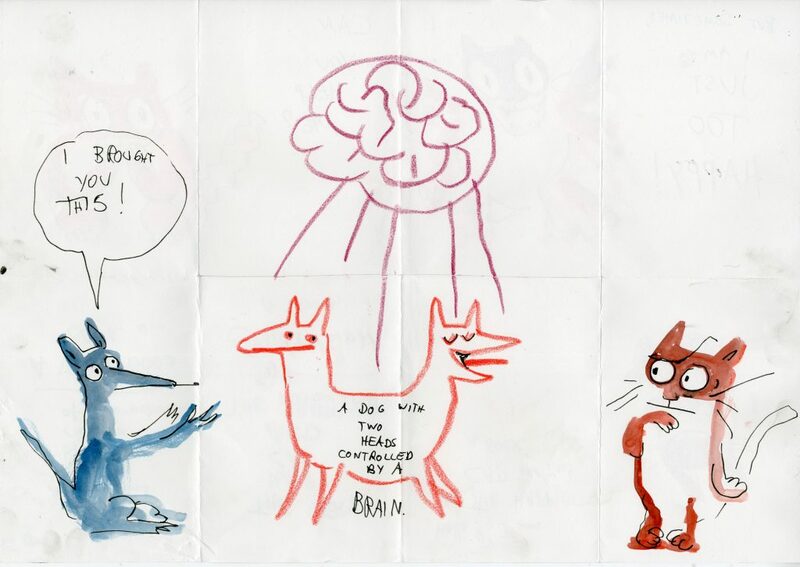 Here is what I drew on stage from audience suggestions, but in your book the Aardvark could bring anything you can think of… so make the book and CONFUSE THAT CAT! and don’t forget to sign it.